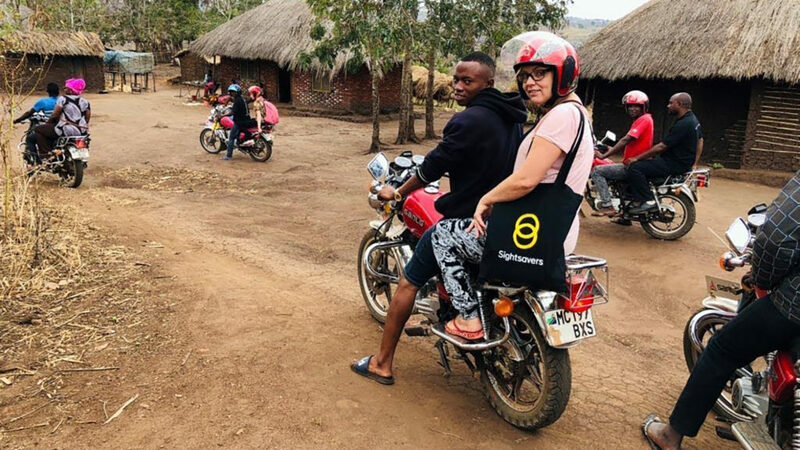 Sightsavers’ Jo Howard travels across rural Tanzania with an eye health team to see how far they must go to treat some of the region’s most remote communities. I emerge bleary-eyed from the bustle of Mtwara Airport in southeastern Tanzania, slightly daunted by the journey that lies ahead of me. I’m here to join Sightsavers and the local eye health teams on the gruelling six-hour trip to Ruangwa. The rural district is home to many patients in need of treatment for trachoma, and the team must reach them so they can screen them and provide sight-saving surgery. I’m travelling with Peter from Sightsavers, Eric the driver, Neema, our translator, and Dr Mwita, the regional eye health coordinator who’s based in Lindi, just up the coast. 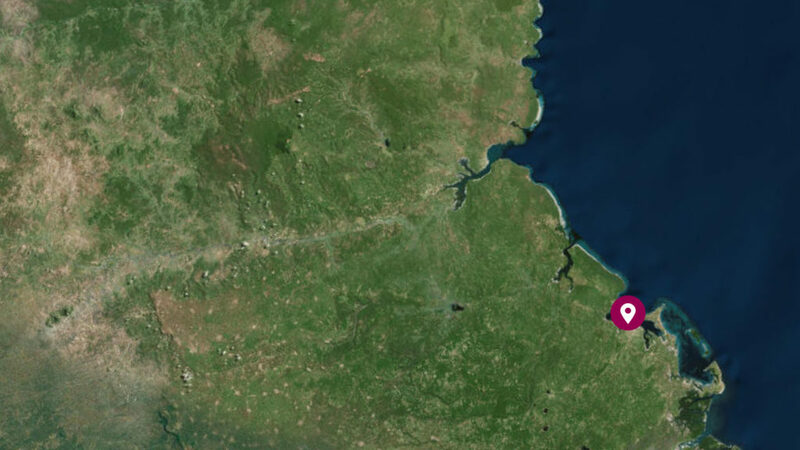 A map of southern Tanzania, showing Mtwara on the coast marked with a cerise icon. Our journey begins at Mtwara Airport on Tanzania’s southeastern coast. A dotted line on the map tracks the route from Mtwara to Ruangwa further inland. A cerise icon shows the location of Ruangwa on the map. …before finally arriving in Ruangwa after six hours of driving. Tanzania’s coastal towns are a lush tropical paradise, with views of the Indian Ocean, plus an abundance of greenery and palm trees. But as we drive further inland, the greenery gives way to a much more dry, arid landscape: it’s rockier, there’s less foliage and what there is becomes browner. The tarmac road soon turns into a dusty orange track, full of rocks, stones and giant potholes. We’re bouncing around in the car and I feel like I’m in a blender that’s being driven by a racing driver, such is the speed we’re travelling. We leave clouds of orange dust in our wake: Peter tells us that in rainy season the road to Ruangwa becomes impassable, as it turns into a massive swamp of mud. Patients’ surgery sometimes has to be cancelled when they’re unable to leave their homes or the eye health team are unable to reach them. Apart from the odd goat or a few chickens, there’s almost no livestock, and Neema explains that most people grow crops such as maize, rather than rearing animals. 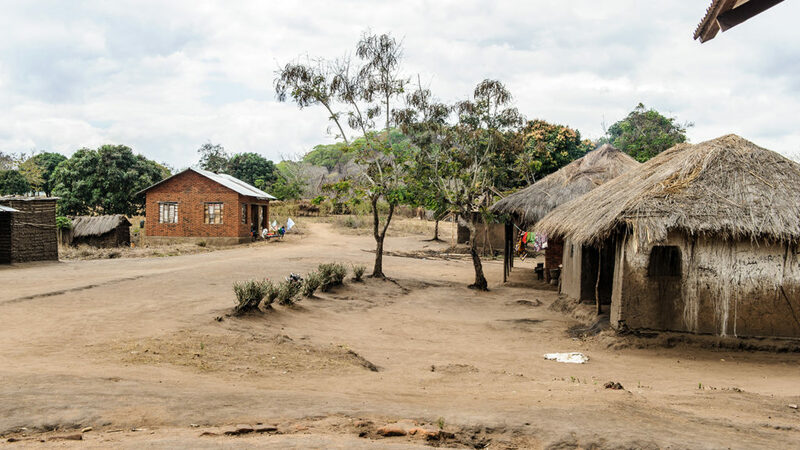 It is clearly a very poor region: the houses are a curious mix of traditional mud shacks alongside brick-built or concrete homes with corrugated roofs and windows, or sometimes with a traditional roof. Everything has an orange tinge from the all-pervading dust. After what seems like an eternity on the road, we arrive on the outskirts of Ruangwa. 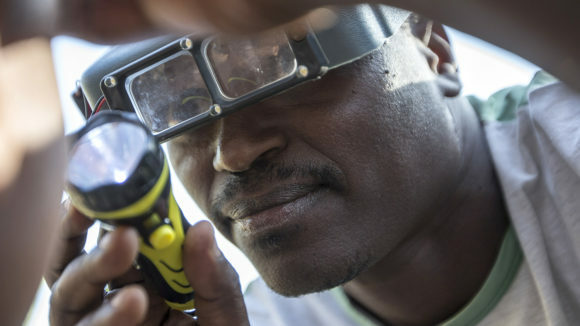 Sightsavers is working with the ministry of health in Ruangwa to find and treat the advanced stages of trachoma, a potentially blinding eye disease that can cause the eyelashes to turn inwards, leading to immense pain. Surgical camps have taken place to screen people for the disease so they can be treated. 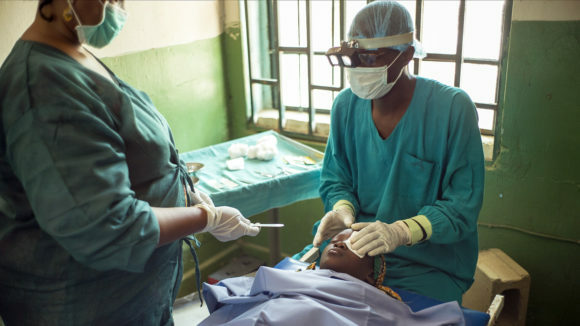 If they are found to have trachoma, they are given a course of antibiotic ointment, while people with more severe cases of advanced trachoma (known as ‘trichiasis’) are offered surgery. Yet seeing how spread out and rural the district is, this is clearly a huge undertaking for the country office teams. We finally arrive at our accommodation and, wearily, head off to bed: we have a packed day ahead travelling to some of the far-flung communities in need of sight-saving treatment. We set off bright and early the following morning and drive a fair distance along more bumpy orange roads, then have to take a motorbike taxi (known locally as a ‘boda boda’) to reach our destination. The road quickly becomes a single-file track and it’s clear why cars are unable to reach these remote places. The tracks are very narrow, with lots of holes and ruts, plus steep gullies that occasionally force us to get off and walk. It’s a privilege to travel so far into the bush and see the beautiful landscape in our motorbike convoy. We pass through several villages, but most people stare and don’t respond to waves or smiles. Peter tells us they are unused to seeing a convoy of motorbikes, and are very suspicious of strangers. The villages in this area are much more traditional, featuring mud or clay shacks with grass roofs – the air is filled with the tang of wood smoke and the noise of grasshoppers. A few chickens are dotted about, along with some goats. In this area people farm, mainly for maize, and plant tomatoes and onions. There are no rivers, so they must dig a deep hole to supply them with water, albeit salt. 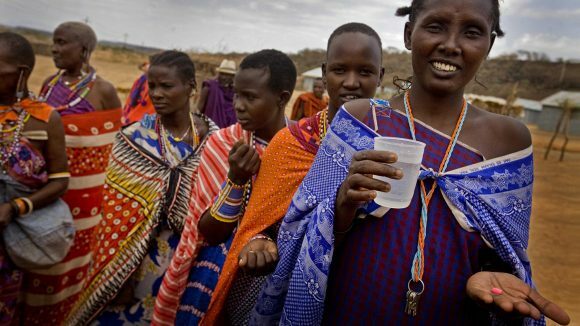 For drinking, they use a water pump. As we travel further and further from the main road, we pass fewer and fewer clusters of homes with grass roofs, and fewer and fewer people – and those we do see nearly all stare. Apparently not many outsiders come to these communities at all. It begs the question of how people who are very sick or fragile get about, and whether they can even access basic services. 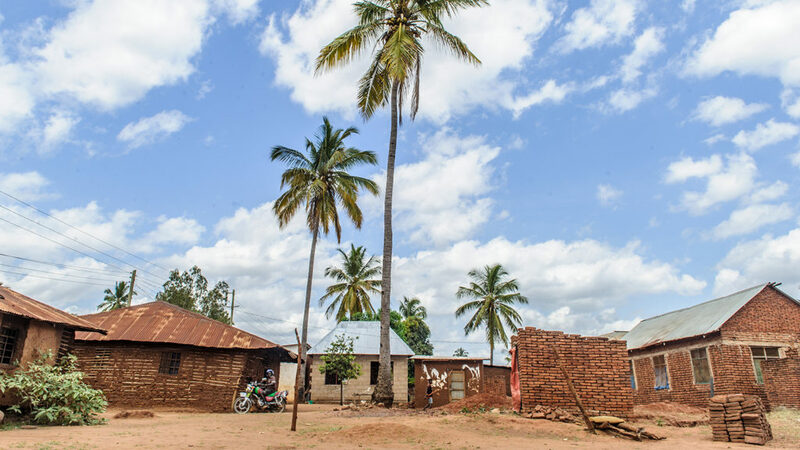 One of the villages we visit is reached by driving through some very narrow tracks lined with cashew nut orchards – it’s beautiful and very green. People smile and wave as we go past in our convoy of boda bodas. 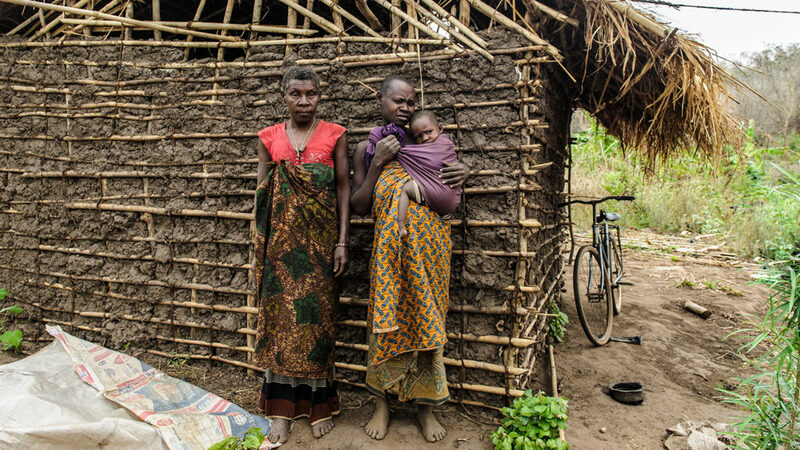 We meet grandmother Aluna and her daughter Mayasa, who both have advanced trachoma, which is causing them both a great deal of pain. Mayasa’s daughter Bibie is also starting to develop symptoms of the disease. 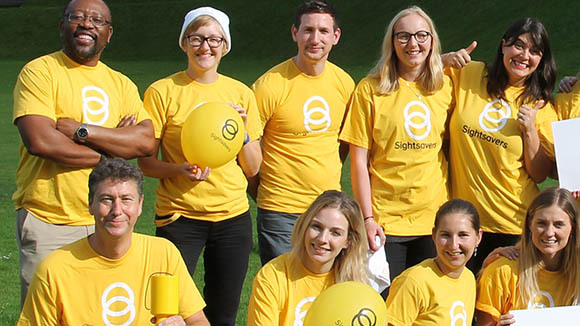 The family were referred to the eye health team by their neighbour: the village is so remote that it’s unlikely we would have found them without her help. After being examined by Dr Mwita, both Aluna and Mayasa are referred for surgery to correct their inturned eyelashes and ease their pain. Bibie is given antibiotic ointment. 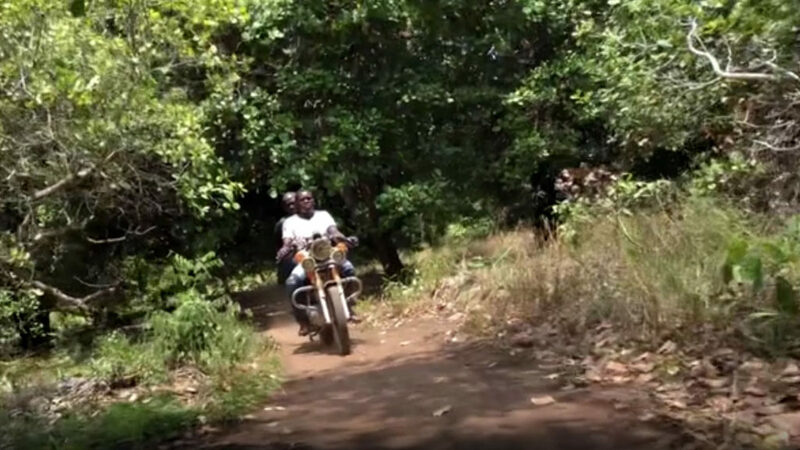 Some patients take a boda boda to get part of the way to the clinic, after which the Sightsavers team collects them. The journey can often take several hours, so even making it to the camp seems no mean feat. 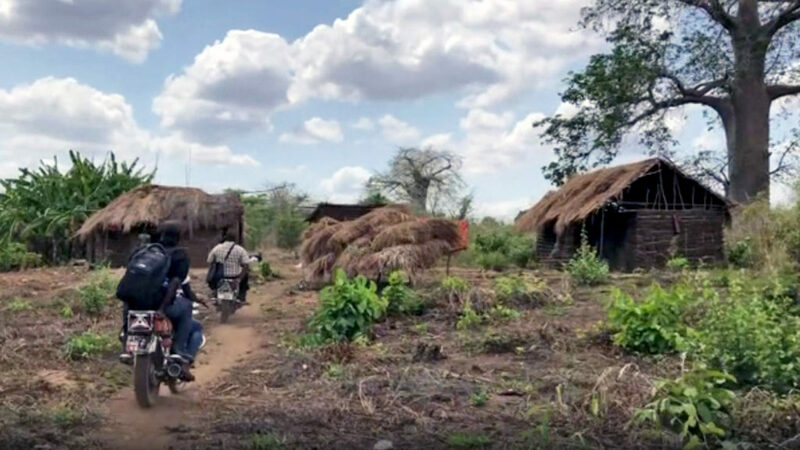 It also makes it easier to understand why even someone at risk of losing their sight might forgo an operation; if they have no one to help with transport, as Sightsavers had been doing, the journey itself might be prohibitively long, expensive, or just so difficult that it seems impossible. Once Aluna and Mayasa arrive at the clinic, their eyes are examined by the surgeon, then they are sent to the office to be registered. The surgery days are announced locally door to door, sometimes via radio or loudspeaker, but mainly by word of mouth, so the team often gets drop-ins from local villages. Peter says they never turn away a patient and will always examine them and take their details, but they’re only set up to treat people with trachoma. If a patient has something other than trachoma, he finds it very hard not being able to help them. The surgeons will do as many operations as needed, often meaning very long days because of the sheer quantity of patients, all of whom have to be taken back to their homes by the drivers. Less than an hour after they entered the operating theatre, Aluna and Mayasa are recovering in the post-op area. It’s amazing to think that in such a short space of time, their lives have changed for the better: they are no longer in pain, and can look forward to a future free from trachoma. It’s humbling to see what a difference such a straightforward operation can make to people’s lives. But to continue this sight-saving work in some of the world’s most remote communities, we need your help. With your gift, we can continue to make sure that eye experts such as Dr Mwita are able to travel these vast distances to reach people in need. 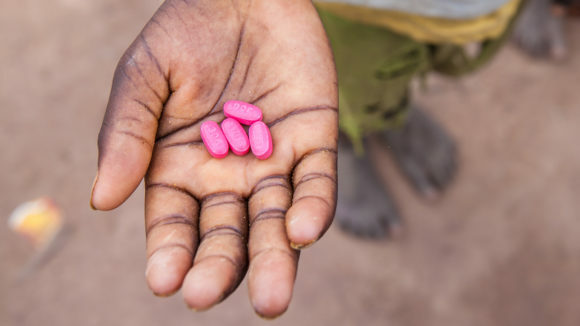 could distribute sight-saving antibiotics to 150 children like Bibie. 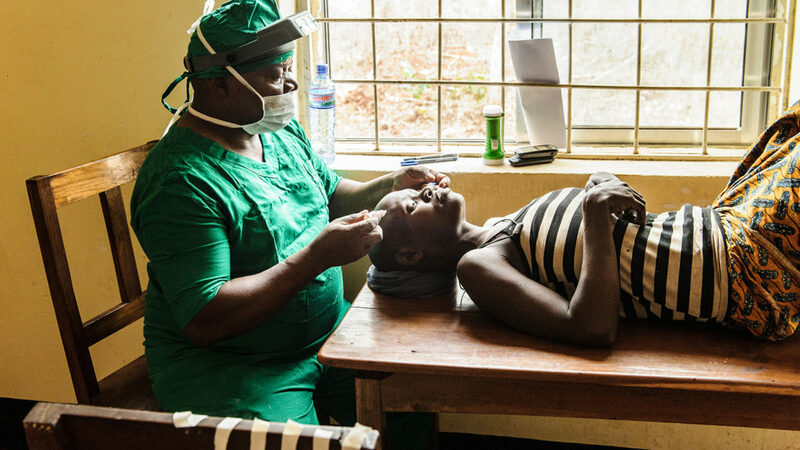 could cover the costs of a sight-saving operation for moms like Aluna and Mayasa.